Calculating (actual) compression pressure in automotive engines is not a straightforward process of comparing the cylinder's maximum and minimum dimensional volumes as the piston travels through its full cycle. That comparison merely defines mechanical compression ratio. 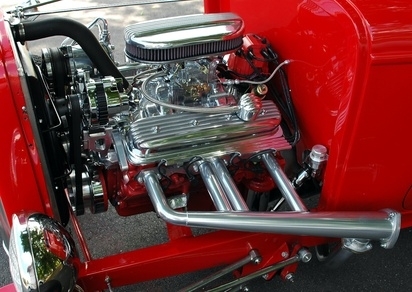 Most engines never achieve a final compression pressure that is purely a result of compression ratio. Other factors such as valve timing, ambient conditions, throttle position and engine load can affect actual compression pressure significantly, and a usable calculation becomes an educated estimate that must consider the other terms. Calculate basic compression pressure from the two low- and high-speed effective compression ratios of 7.32:1 and 8.55:1, respectively, assuming standard sea-level atmospheric pressure of 14.7 pounds per square inch absolute (psi). Multiplying the low-speed effective compression ratio of 7.32:1 x 14.7 would yield a compression pressure of 108.84 pounds per square inch gauge (psia). The high-speed value would be the 8.55:1 effective compression ratio x 14.7 psia, or 125.69-psia. Correct the pressure for the specific heat effect factor. When the air is compressed, some of its heat is extracted because of its lower volume, but it has nowhere to go, so the heat results in a higher temperature, which in turn increases the pressure above what it would have been under ideal conditions. (It is actually this higher temperature that spontaneously ignites the fuel in diesel engines with their much higher compression ratios of about 18:1.) For air, this factor is about 1.4:1. So the estimated compression pressures in this example would be 108.84 psi x 1.4 = 152.37 psi in the low-speed case, and 125.69 psi x 1.4 = 175.97 psi in the higher-running-speed case. Performance buffs use online compression calculators to approximate what engine modifications might do to affect compression pressure, and can be useful for verifying your own estimates. Measuring compression pressure with a gauge using spark plug holes is a low-speed method that will read pressures lower than what your engine does at speed, and should therefore only be used for comparing cylinders. 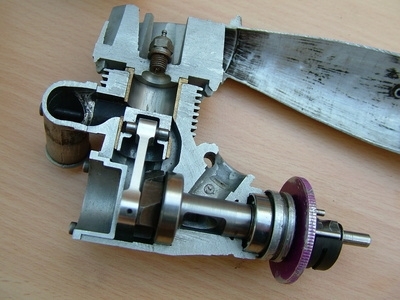 Detonation from too-high compression can do significant damage to engines.